Most people own multiple electronic devices, like iPhone 8/X, Apple Watch, and AirPods, and they all need different chargers and cables. Now, Apple users can switch to wireless chargers. 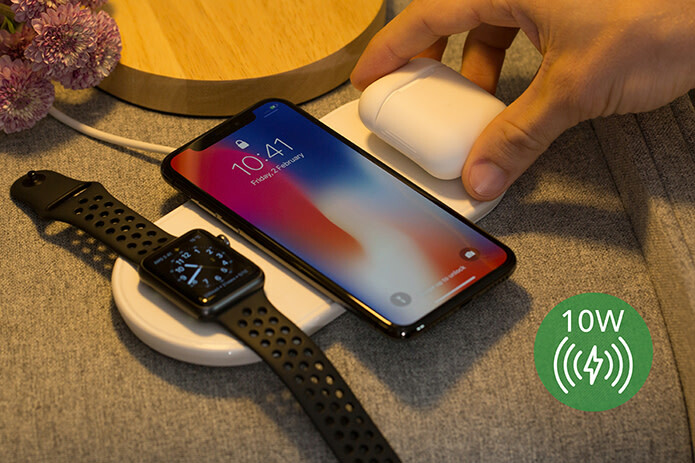 With Plux and its Qi compatibility, you can charge your new iPhone, AirPods, and Apple Watch wirelessly and quickly. Using fast charge technology, Plux can deliver up to 10 watts of power to all your iPhone 8/X, Apple watch, and AirPods. It’s a convenient, safe, and reliable way to charge and power all your electrical devices 33% faster than the standard wireless chargers. 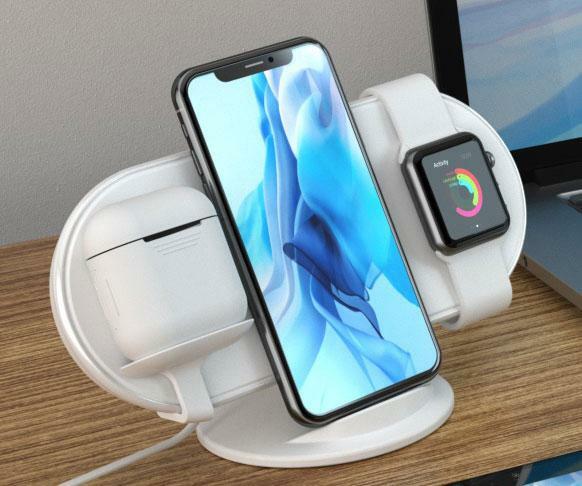 the Stand Converter that comes with Plux, easily transform your charging pad into a charging stand, you don't have to worry about the battery life when binge-watching or listening! We’ve designed Plux to be an aesthetically pleasing and a highly usable stand that holds your phone up under a viewer-friendly angle. It has the best angle for your Face ID and Nightstand Mode! You can still get notifications, messages, calls or binge-watch with comfort. No one wants the hassle of having to remove their beautiful phone case while using a wireless charger. With Plux, you'll have no issue charging the phone while it’s secured in its case; as long as it's not thicker than 3mm. Unlike other wireless chargers that can only juice up one device at a time, Plux is the world's first Qi-compatible wireless charging stand! Plux can charge multiple Apple devices at once; including the iPhone 8/X, any of the Apple Watch Series, and Airpods charging case.